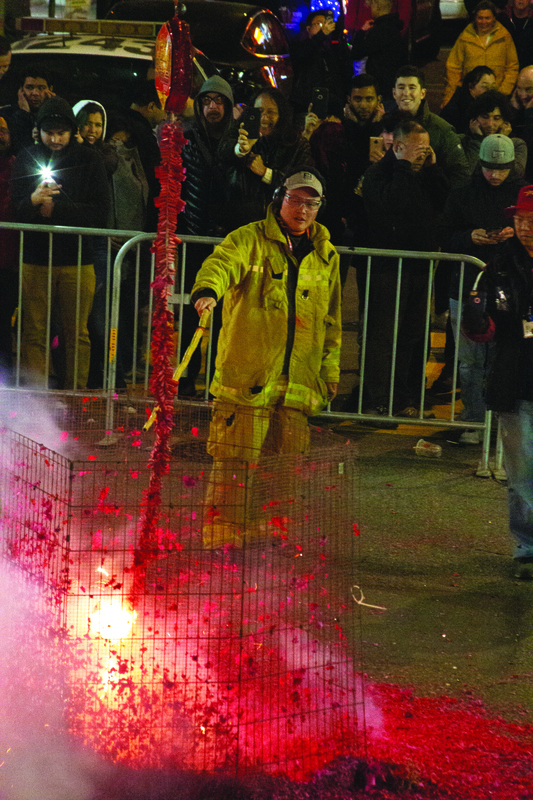 The City College of San Francisco Asian Coalition (AC) had a casual viewing party for the 2019 Chinese New Year celebrations at the Chinatown campus. 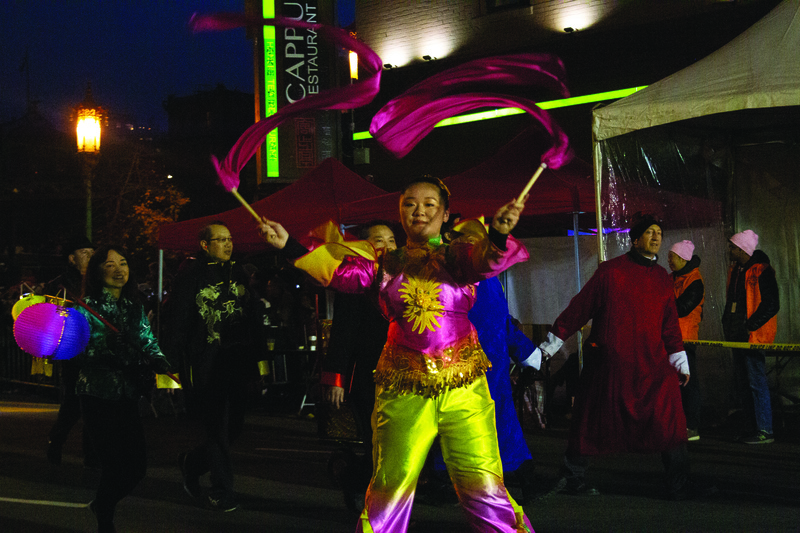 “This year we had a joint partnership with the CCSF Asian Coalition organization and this center,” Dean of the Chinatown Operations Center Kit Dai said. 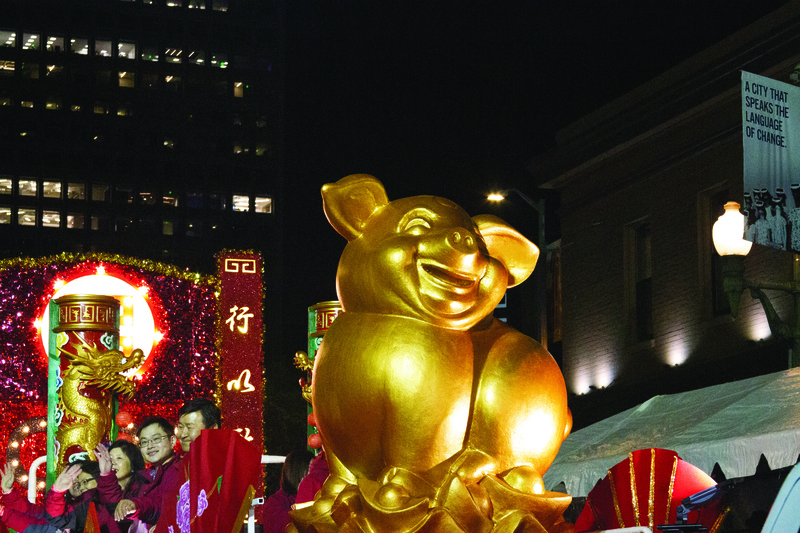 The parade celebrated the Year of the Pig. 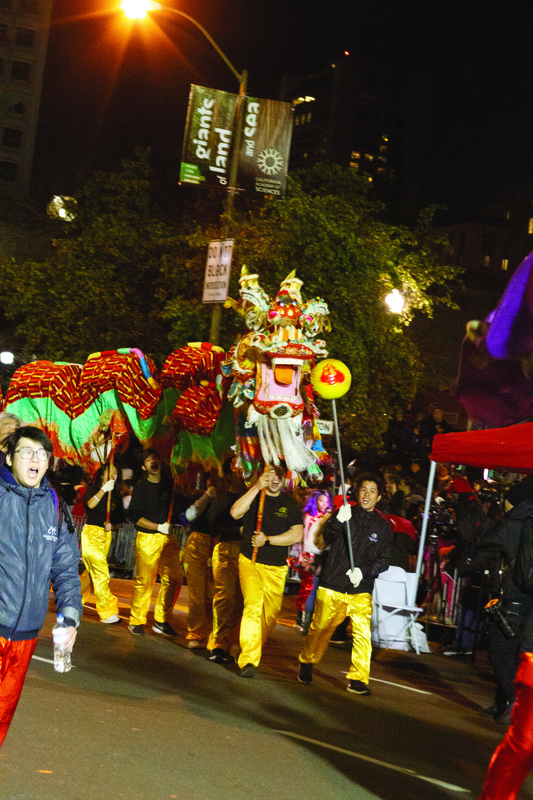 It kicked off on 2nd St. and Market St. and ended outside the City College Chinatown campus. This was the first Chinese New Year viewing party hosted by the AC. 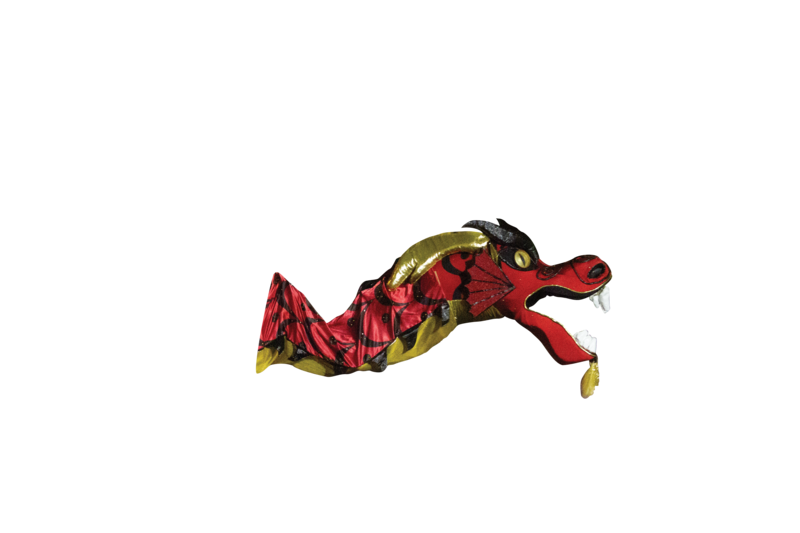 “It is for the Chinese New Year and the Asian Coalition,” Monica Lui, a volunteer with the AC said. Lui began working with the AC when she offered to help read scholarship applications. “I think it’s going well! We have some donors here and Asian Coalition members,” Lui stated. 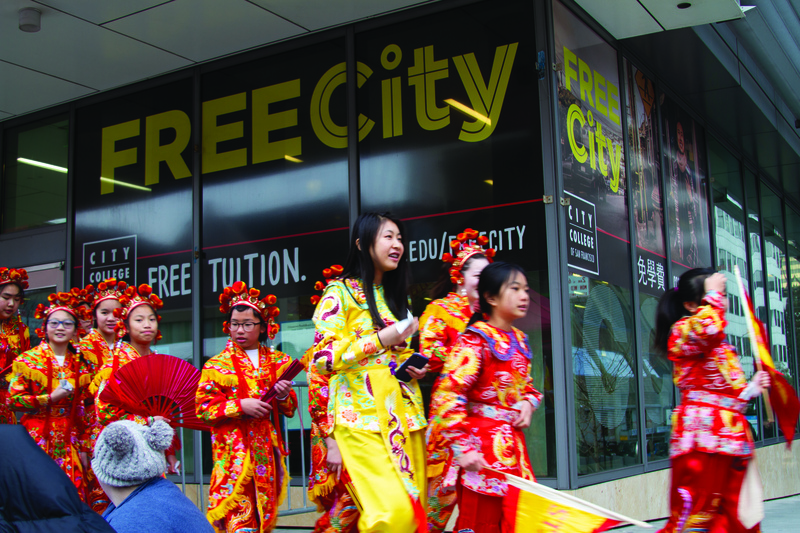 The AC was created over 30 years ago to encourage the success of Asian American students, while promoting equal opportunity among Asian American faculty and staff at City College. 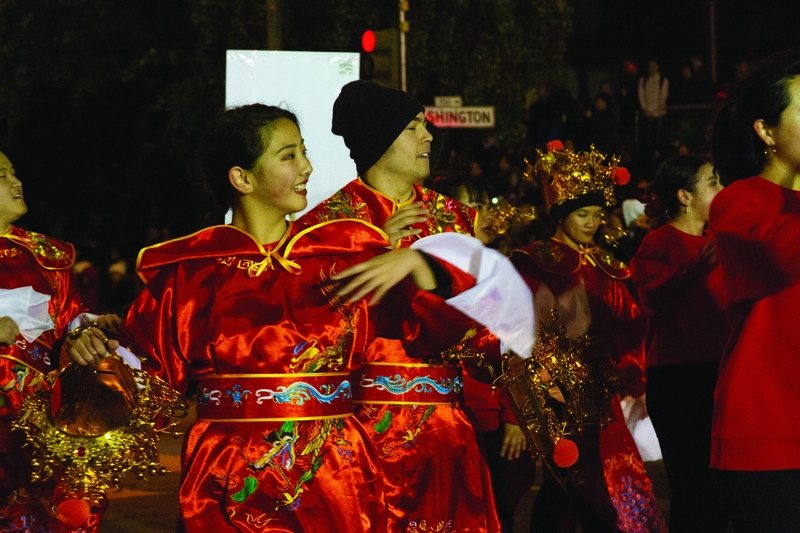 Furthermore, the AC strives to explore Asian American social, cultural, political and community issues. Each year, the AC gives out between 20 to 25 scholarships. Students qualify once they complete six units. “The scholarships are actually our signature program,” Lui said. The scholarships are open to international and non credit students. Data shows that majority of the recipients benefiting from the support are Asian. Even so, Lui suggests there is still a large group of students who need help. “Looking at the raw number, not the percentage we still have a big number of students who really deserve some funding,” Lui said. She hopes the AC can become better equipped to help these students in the future, by increasing funds for AC scholarships. The AC will hold a scholarship event on the last friday of April to celebrate its students accomplishments and recognize Asian Coalition employee’s as well as Asian City College faculty. “We usually have over 200 people come, even at a high point we have 300 people come,” Lui said. Tickets will be between $45 and $80 and the dinner will be held at an undisclosed location. For more information on scholarships and membership, check out the AC website at https://sites.google.com/view/ccsfasiancoalition.